Happy baseball season to you! We are ready to cheer on the Mariners in our house this season and I thought it would be fun to post an easy recipe for delicious homemade Cracker Jacks! 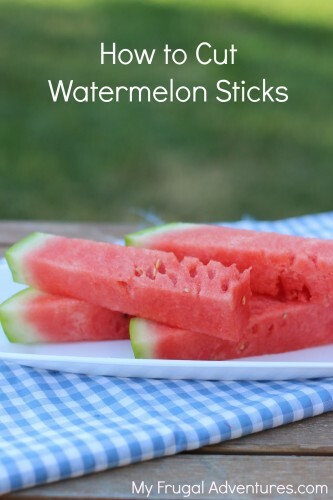 These are just so darn good and you can mix up a batch to pop into little baggies for your own little baseball and softball stars or mix this up to watch during the game at home. You only need a few ingredients to make homemade caramel corn and you are not going to believe how good this is. 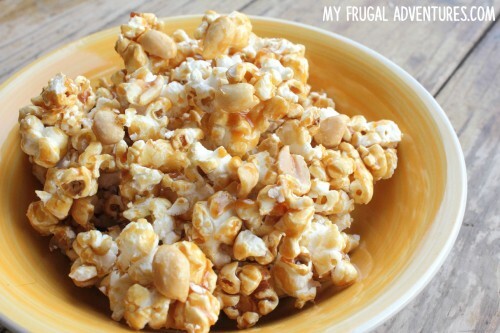 Quick and easy homemade cracker jacks! To start you want to pop ½ cup of popcorn kernels. You can add the coconut oil to a dutch over over medium low heat. Once it melts, add ½ cup popcorn kernels and immediately place a lid on top of the pot. Allow popcorn to pop, shaking the pan occasionally - be very careful not to burn the popcorn. Remove from heat right when the kernels stop popping. Set popped popcorn in a very large bowl- you should have about 10 cups total. Try to remove any unpopped kernels from the bowl and discard. Add butter to a clean pot over medium heat and allow to melt. Add molasses and brown sugar to the pot- stir well and once it starts to boil, let it gently cook for about 4 minutes. Careful not to burn but don't stir as it cooks. Remove from heat and add vanilla and peanuts. Stir well and allow to cook another 2 minutes or so. Add condensed milk and salt and stir well. Pour the molasses mixture over the popcorn and stir very well to fully coat all the popcorn. Put parchment paper over a cookie sheet and spread the popcorn mixture in an even layer over the top. 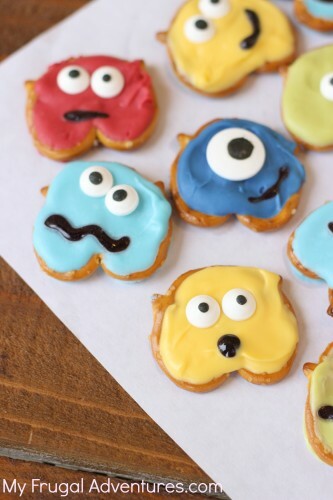 It will be gooey (and delicious!) so you can either let it harden slightly by sitting out or pop it in the oven under 350 degrees for about 5 minutes. Store in a sealed container for about 2 days. The recipe might seem complicated but really it is so fast and easy. 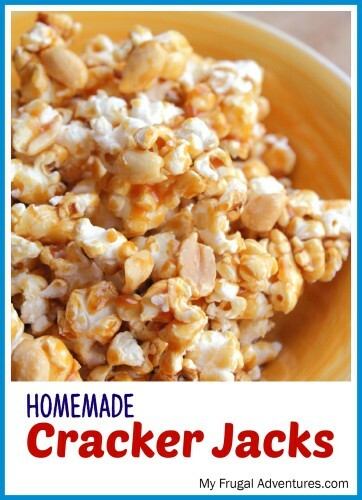 I have never much cared for Cracker Jacks but this recipe is seriously addicting. Most of the items listed you probably have in your pantry with the exception of Molasses. I found it by the maple syrup for about the same price as corn syrup at my grocery store. While you can use dark corn syrup for this recipe, I recommend molasses instead. You will have a deeper flavor and it is so much easier to work with. I have tried this recipe with corn syrup and the corn syrup tends to harden really quickly and I find it hard to spread on the popcorn. The other note is that you really have to be on the ball to make sure nothing burns as you are making the caramel- so for this recipe it is important to have everything ready to go right at your fingertips. So give this a whirl and see what you think! You will have about 10 cups total of popcorn so feel free to double this if needed. I found this recipe to be a generous amount for 4 people and enough for about 6 little snacks for kiddos. This recipe was adapted from the amazing Martha Stewart. 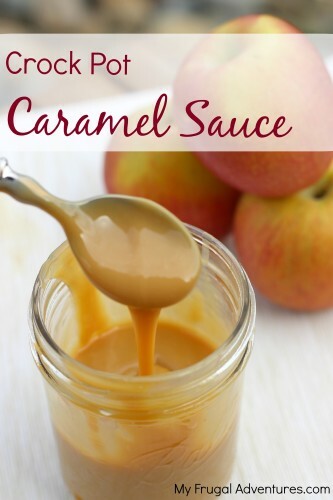 And to use up the leftover condensed milk, here is an easy Crockpot Caramel sauce! Perfect for dipping apples or drizzled on ice cream.